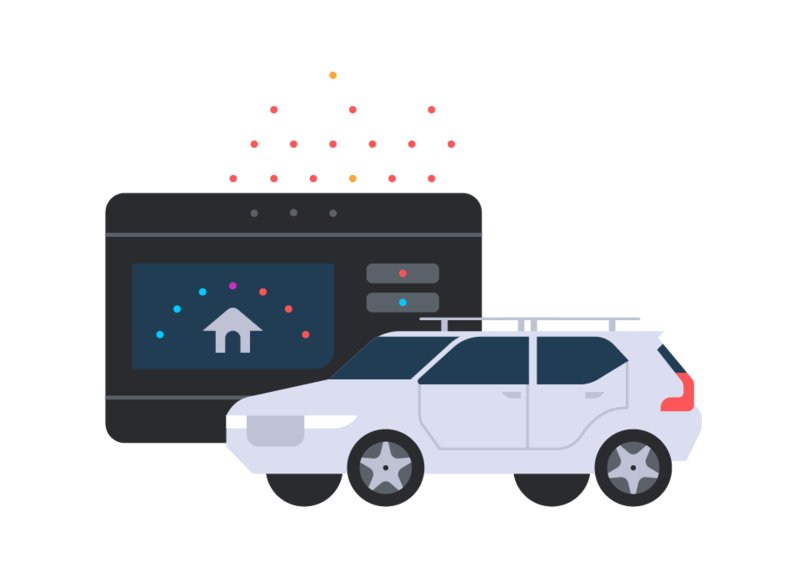 The Alexa Auto SDK brings the Alexa experience that has delighted customers at home into the vehicle. It adds automotive-specific functionality and contextualizes the experience for the vehicle. It includes source code and function libraries in C++ and Java that enable your vehicle to process audio inputs and triggers, establish a connection with the Alexa service, and handle all Alexa interactions. The SDK also includes sample applications, build scripts, sequence diagrams and documentation, supporting Android, Automotive Grade Linux (AGL), and QNX operating systems on ARM and x86 processor architectures. The Alexa Auto SDK includes core Alexa functionality, such as speech recognition and synthesis, and other capabilities such as streaming media, controlling smart home devices, notifications, weather reports, and tens-of-thousands of custom skills. Additionally, the SDK provides the hooks required to connect to a wake word engine, local media player, local phone, and local navigation system, and the ability to access certain Alexa features and capabilities even when internet connectivity is intermittent or not available. Specify a contact name or phone number and Alexa will instruct the native calling service in the vehicle to place the call. Stream audio from popular media services, such as Amazon Music, Audible, and iHeartRadio, and display album art and other info to the head unit. Set the destination of the native turn-by-turn navigation system by specifying an address or point-of-interest. Search for restaurants, movie theaters, grocery stores, hotels, and other business, and navigate to the location. Set the cabin temperature, fan speed, fan mode, auto climate control, and turn on or off the air conditioner while inside the vehicle. Alexa is always getting smarter with new features and capabilities added in the cloud. When you connect your vehicle to Alexa, you give customers access to a wealth of information, including news and sports updates, to-do lists, and smart home control. All they have to do is ask.